How do you get a newborn to sleep? The first key is to have a warm environment. The warmer the better. Most of the time with newborns you want them naked to be able to pose them in those really cute baby props. The second trick is to make sure they are well fed. Well fed babies are happy babies. The third trick is to relax!! Stressed out parents will stress the baby out. They can pick up on it. We have had years of experience with kids, we have 3 of our own. 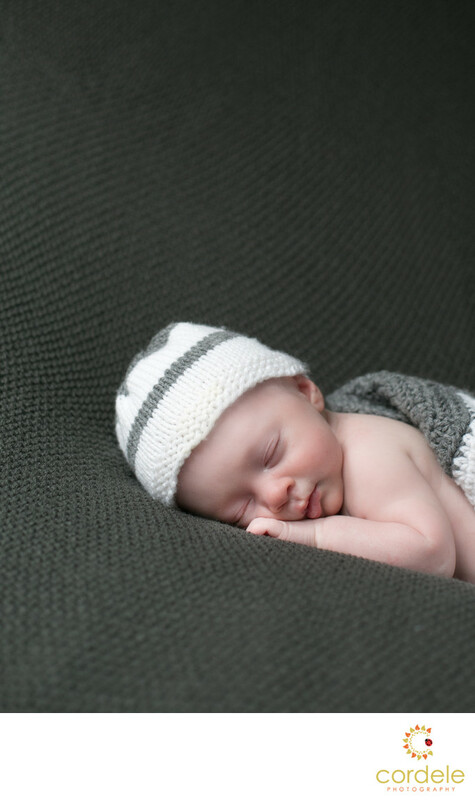 Below are some tips to help get the best newborn photos. These are based off the years of experience and hundreds of shoots we’ve done. When photographing babies, parents should know, we have little control. Babies, fuss, they cry and they rarely sleep, and that’s okay! Expect the baby to pee, and poop, and eat. The newborn shoot takes about 4-5 hours. Why? It can take 4-5 hours to settle them and finally sleep. If we crank the heat and have a well fed baby, the shoot should go okay! If it doesn't well we can do it again! If your baby has a cold or ear infection, reschedule your shoot. Sick kids really don’t want to be photographed.Relax. Truly, this is fun.